Is DVD region code good or bad? It’s hard to tell. Region locked DVD can be protected and controlled by the movie distributors so that the DVDs can be distributed completely as they intended to, wherever, and whenever. For users, on the other hand, it’s a total disaster. We sometimes cannot play a regular DVD on a regular DVD player or PC just because the region code isn’t right. We have introduced a way to bypass DVD region code, but that method only works on some models of DVD player, and if you want to play the DVD on PC, that method won’t work either. However, today we are going to introduce another way to unlock the region code, so that you can play your DVD not only on DVD player, but also on a PC. Part 1: Can DVD region be changed? As we already know, most commercial DVDs have a region code that ties the DVD to specific regions of the world, as a measure of copy protection. If a DVD’s region code doesn’t match the current region code of your DVD player, you’ll receive a warning that you need to change regions in order to play the DVD. However, is that doable anyway? Can DVD region code be changed? In fact, most DVD drive on PC are changeable. There is a default setting for DVD region, and there is a way to change that setting. However, what you need to keep in mind is that, in most cases, the region code for a DVD player can only be changed five times. 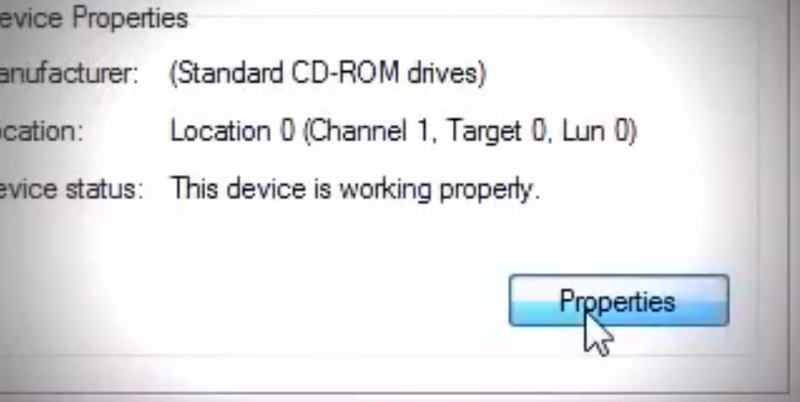 The fifth time you change the region, your DVD player is permanently locked to the last region you set, and you will not be able to change it back. So be careful when you decide to change your DVD region. Now we know that it is possible to change DVD region code, the problem now is how. How to change DVD region in Windows 7? Well, here it is. 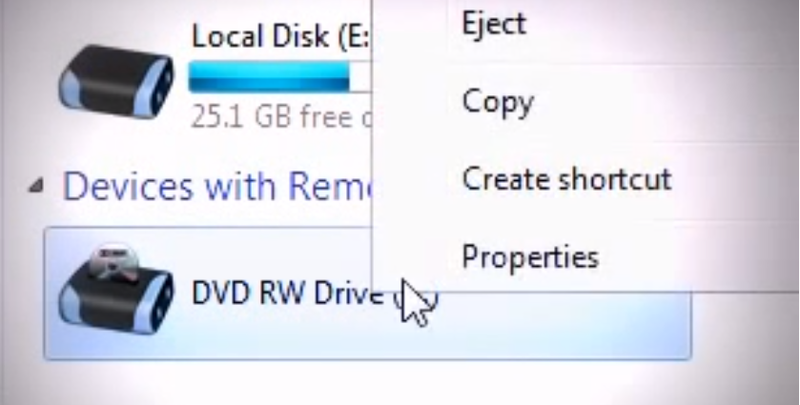 Step 2: In the properties window, navigate to “Hardware” tag, and you will see the name of your DVD drive, then choose it. Step 3: In the same window, you can see the information of your chosen drive below. There is another properties button nearby, click on it. Step 4: Then a new window will pop out. In this window, you cans see there are a series of tags, one of which is called “DVD region”. Unfold the “DVD region” tag here. There is some information under this tag that shows you details and warnings about your current DVD drive region. It tells you how many chances you have left for changing your DVD region. Be very careful when you don’t have many chances left. Because once you use up all the chances, the region code will be locked for good, and you will not be able to change the region code of your drive again. 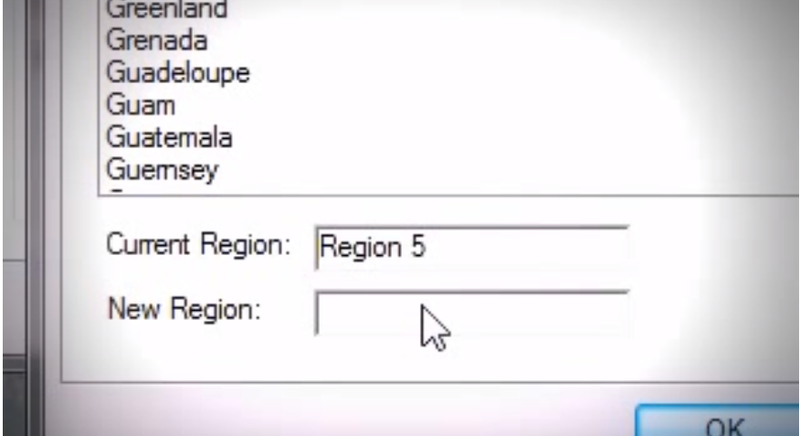 Step 5: Once you understand the risk and still want to change the region code, you can choose your new region below. There is a box listed with all available regions, you will be able to see your current region code and new region code here too. When you have chosen your desired region code, click “OK” to change it. As we can see, changing DVD region code on Windows 7 is not hard. However, it’s still risky to do it. There are only limited number of chance for you to change the code, and once you use them all, your region code will be locked permanently. So, is there a way to directly watch DVD in any region on PC without changing the region code? The answer is yes. How? By using Leawo Blu-ray Player. Leawo Blu-ray Player is a powerful Blu-ray/DVD/Digital video player program that can play Blu-ray or DVD folder, ISO file or disc as well as digital videos in all kinds of format with the original quality. The best thing ablut this player is that, it can play DVD or Blu-ray movies across region and regardless encryption, and it’s 100% free. With Leawo Blu-ray Player, the next time you play DVD with a different region code, you don’t have to risk changing your region code, just insert the disc into your DVD drive, and play it with Leawo Blu-ray Player.